It's all about diamonds! 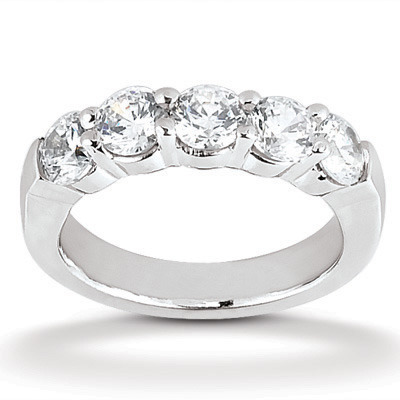 This gorgeous ladies' band is set with 5 round cut diamonds 0.40ct tcw. Available in 14k, 18k white and yellow gold, platinum or palladium. Carat Weight / Size (each): 0.08 ct. / 2.8 mm.